As we age, our eye shapes change and it become “droopy”. If you are facing the droopiness aka Hooded eyes or you are born with this feature the following tutorial is just for you! 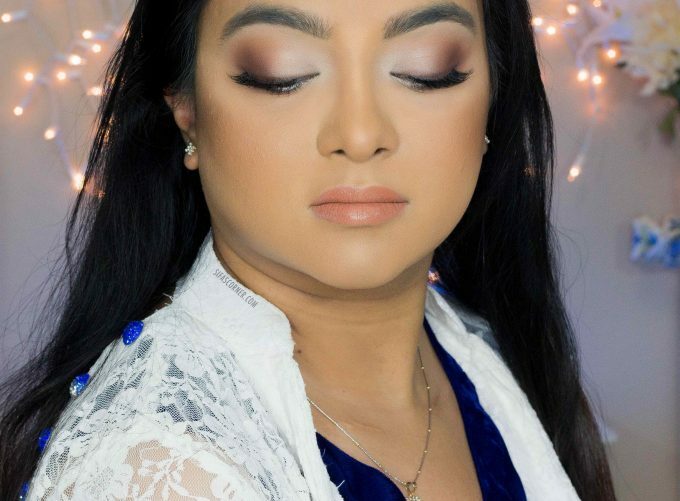 This Hooded Eye Makeup is done with Morphe Jaclyn Hill palette. I think it’s a great palette with countless options to choose from. To be on the neutral side, I am using colors from the brown-family. The technique and tips I have given here, you can use any color of your choice with these techniques. Watch the tutorial below and let me know what troubles do you face if you have hooded eyes. I am listening!